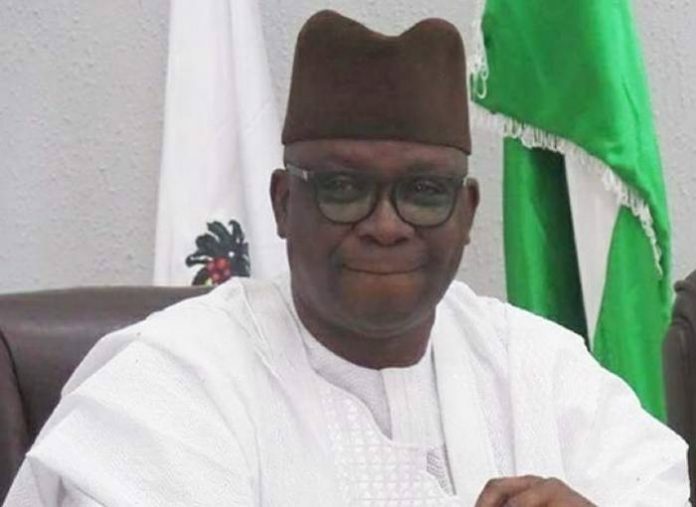 Governor Ayodele Fayose on Tuesday said that all the ongoing capital projects in Ekiti State will be completed and inaugurated before he vacates office on October 16. The governor said he had resolved to complete all ongoing projects in consonance with his promise not to abandon any project embarked upon. Fayose made the promise while speaking at the 2018 edition of the Annual Udiroko Festival in Ado Ekiti, the state capital. He listed the capital projects so far completed and ongoing to include the One-Kilometre overhead bridge in Ado Ekiti, the new state High Court complex, the new Governor’s Office and the new Ministry of Finance complex. He listed others to include the new Ultra-Modern Kings Market in Ado Ekiti and the Amphi Theatre, the Banquet Hall at the Ewi’s palace and the dualisation of virtually all the roads in the 16 Local Government Headquarters, among others. NAN reports that Fayose said there was no known law in the country that says a sitting governor must stop performing the functions attached to his office once his party is preparing to wind down or have election decided against it. He told the gathering that the about 200- lock up shops at the new Kings market would be shared to willing traders before the end of the week. He pledged that those traders initially displaced as a result of the fire incident that razed the old market would be given preferential treatment. Fayose appreciated the people of Ado Ekiti for standing by his party during the last governorship poll, regretting, however, that certain forces allegedly did not allow their votes to count. In his response, the Ewi of Ado Ekiti, Oba Adeyemo Adejugbe, thanked the governor for what he termed as “sudden turn around” of the state capital, saying close to 80 percent of the projects carried out by Fayose during his second term in office were concentrated in Ado Ekiti, thereby making his tenure memorable.